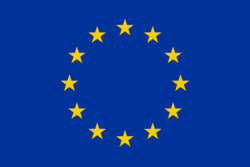 A Europhile is a person who strongly supports the European Union, further European integration, and prefers the power of European institutions above that of the EU's (member-)states. Europhiles are globalists, and many of them are socialists or liberals. The slide toward a federal Europe began with the formation of the European Coal and Steel Community in 1952 and the European Economic Community in 1958. The Treaty of Maastricht in 1992 and the further expansion of the EU soon after greatly accelerated the slide toward the dreamed federal Europe. The goal of europhiles is the foundation of a United States of Europe, which many of them view as a stepping stone to establishing a one-world government. Opposition to the Europhile agenda consists of people who oppose the growing power of the European Union and further immigration and integration, something referred to as Euroskepticism. Making the European flag the second flag of every member state. Censorship of alternative media sources, which they accuse for spreading "fake news", in favor of the mainstream media. Emmanuel Macron, president of France since 2017, former banker at Rothschild. François Hollande, president of France from 2012 until 2017. Guy Verhofstadt, member of the European Parliament since 2009, formerly Prime Minister of Belgium. Angela Merkel, German chancellor since 2005. François Mitterrand, president of France from 1981 until 1995, also one of the architects of the Maastricht treaty. Donald Tusk, president of the European Council since 2014, Prime Minister of Poland from 2007 until 2014. Jean-Claude Juncker, president of the European Commission since 2014. Tony Blair, former Prime Minister of the United Kingdom. Martin Schulz, German politician, member of the EP from 1994 until 2017. George Soros, Hungarian leftist philanthropist, funder of multiple activities of the European (-and globalist) agenda. Richard Coudenhove-Kalergi, Austrian-Japanese politician known for its Coudenhove-Kalergi-Plan. Jean Monnet, former French minister of Foreign Affairs, also known as the "father of Europe"
Robert Schuman, Luxembourg-born French statesman known for its Schumanplan. Barack Hussein Obama, 44th President of the United States. This page was last modified on 15 April 2019, at 21:49.